Lindsey Moore's ultracompetitive nature lifted Kentwood High School to the Class 4A state title and is a major reason the Nebraska signee is The Seattle Times' Female State Player of the Year. It’s time to choose teams, and Lindsey Moore is mobbed. Every girl wants the multitalented Moore on her side. And not because she’s such a great basketball player. We’re not talking about basketball here, after all. This is a friendly game of Mall Madness. Except with Moore, there is no such thing as a friendly competition. Whether you’re trying to score points on a basketball court or score deals in a shopping board game, Moore is obsessed with winning. “My friends will fight over who can be on my team, because I’m so competitive they know I’m going to win or come dang close to winning,” she admitted. It is that competitive edge that helped Kentwood High School win every basketball game Moore played in this season. The only time the Conquerors lost was in the West Central 4A District championship game, when Moore rested a sore hamstring. They went on to capture their first state title with the 5-foot-10 senior guard back in the lineup, and she was voted the tournament’s most valuable player. Today, Moore adds another honor as she is named The Seattle Times’ Female State Player of the Year. 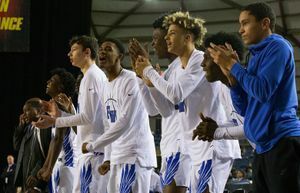 Federal Way coach Danny Graham calls her the best all-around high-school player he’s seen over the past three years. Moore, who has signed with Nebraska, has the one-on-one ability to take over a game. But with a talented supporting cast, she rarely had to. Although she averaged a team-best 15.7 points, she takes the most pride in her 7.5 assists per game. 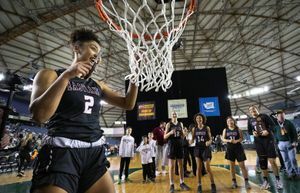 Moore, whose family moved from Olympia to Covington after her seventh-grade year, is the second Kentwood girl over the past three seasons to win The Times’ State Player of the Year award. Courtney Vandersloot was honored in 2007 after leading the Conquerors to a third-place finish at state, sharing the backcourt with Moore. Vandersloot is a sophomore at Gonzaga, where she earned MVP honors in the West Coast Conference this season. Don’t ask Kentwood coach Keith Hennig who is better. “Courtney and Lindsey are both superstars,” he said. And Hennig, who played at Central Washington, regularly guarded both in practice and never took it easy on either one. Moore thrived on the challenge. 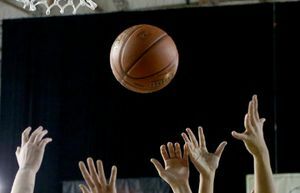 The thing he remembers most about Moore when she first came to his basketball camps the summer after her seventh-grade year was her competitive nature. Moore, also a state-class high-jumper, has two older sisters who also played basketball in high school. But neither had the same eye-hand coordination or commitment to the game as Lindsey, who could dribble with either hand by age 4. Rich Moore, their father, said he often came home from work to find Lindsey working on her moves in the driveway. That hard work, not to mention that competitive edge, helped mold Moore into the player she is now. Sandy Ringer: on Twitter: @sandyringer1. Longtime preps reporter Sandy Ringer teams with other contributors on High School Sports coverage.